While a pet dog can infuse a great deal of affection and purpose into one’s life, it also comes along with a mountain of responsibilities. Dogs are like babies who require constant attention, care, love and time. Raising a dog also demands a lot of patience. Taking them out for a walk often, ensuring that they are being fed the right stuff and on time as well as managing their diseases are all a big part of life as a dog owner. Nothing is more heartbreaking for a dog owner than to see their fur-babies fall sick and suffer in agony. There are a whole host of diseases that can assault your pet dog. The most common of these are ticks, gastric trouble, cataracts, ear infections, arthritis, superficial wounds, obesity and even cancer. As is evident from this list, dogs too are just as susceptible too common pathogens and bodily dysfunctions as human beings. It is, therefore, vital to take preventative measures as far as possible to keep your dog in the best of health. In the event of illness too, it is beneficial to supplement standard medication with herbs and spices that have natural disease-fighting abilities. One such natural compound that packs a powerful punch since it is the bearer of numerous therapeutic qualities is curcumin. Hiding within the common spice turmeric, curcumin is in fact, the principal reason for the golden spice to have gained such popularity amongst those who lay their faith in natural healing. Chronic inflammation is the cause for a variety of diseases amongst dogs. From tooth problems to gastric issues to allergies to kidney disease and cancer, chronic inflammation is at the root of all of them. Curcumin has potent anti-inflammatory properties that are comparable to standard pain medication like ibuprofen and aspirin but sans the side effects. It is thus a good idea to give your dogs a small dose of curcumin every day to ward off any inflammation in the body and bring relief from pain and swelling. In the case of rheumatic diseases, curcumin can be very useful in alleviating joint stiffness and pain. A regular dose of curcumin can help prevent rheumatic flare-ups and can also keep the bones and joints well lubricated. Curcumin has broad-spectrum anti-microbial effects that help in flushing out infections caused by a wide variety of pathogens. In case of viral infections like the flu, curcumin can help reduce the intensity of symptoms like body ache and fever. In case of bacterial build up too curcumin can help in quickening the recovery by inducing cell death in bacterial cells. Fungal infections like the ones that sprout up in between the toes and around the nails can also be quickly cleared with topical application of curcumin paste. Curcumin is an active antioxidant agent. It scavenges harmful free radicals like Reactive Oxygen Species and Reactive Nitrogen Species and brings down the level of oxidative stress that is the instigator of many diseases in a dog’s body including cancer and premature aging. Curcumin has anti-carcinogenic properties which are helpful in preventing an increase in the size of existing tumors as well as metastasis. Curcumin identifies the defective cancer cells and proliferates them thus inducing apoptosis or cell death. This process inhibits the growth of cancerous lumps and stops cancer cells from migrating to other locations in the body. Barkumin is a curcumin loaded supplement that the kind folks at Bagdara Farms have developed using the curcumin that they grow locally. The curcumin cultivated at Bagdara is of excellent quality especially since it does not contain any chemical residues thanks to the 100% organic farming techniques used by the farmers here. This high-class curcumin is used to create some supplements that can lessen the anguish of patients of all age groups. 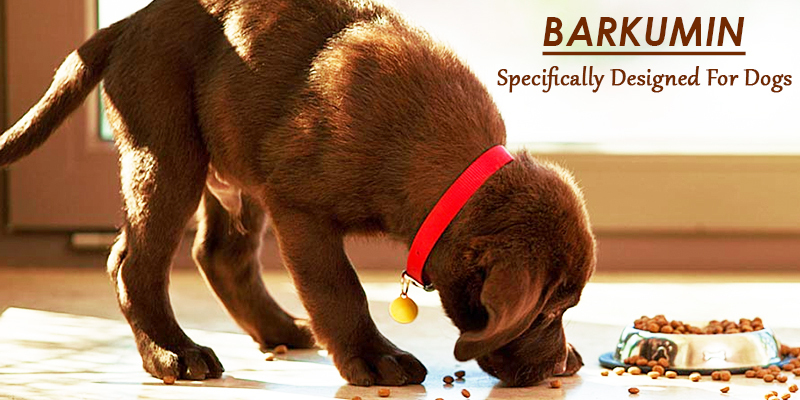 Barkumin is specially designed for dogs and can be very beneficial in keeping them fit for as long as they live. 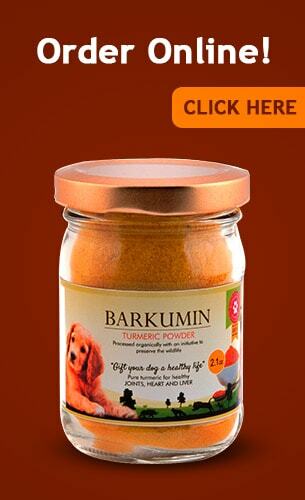 By bringing home a jar of Barkumin, you will successfully safeguard a healthy and happy life for your furry friend. Low Sperm Count : Curcumin for Your Rescue!